Free Loaner Car, Restrictions may apply. Coupon must be presented at time of quote and cannot be combined with other offers. $129 4-Wheel Alignment! Coupon must be presented at time of quote and cannot be combined with other offers. Most cars. Restrictions may apply. 15% off Audi - Any mechanical repair! 15% off BMW - Any mechanical repair! 15% off Dodge - Any mechanical repair! 15% off Ford - Any mechanical repair! 15% off Jeep - Any mechanical repair! 15% off Lexus - Any mechanical repair! 15% off Nissan - Any mechanical repair! 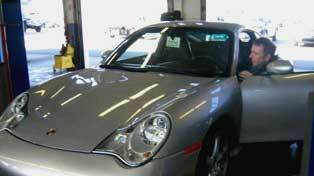 15% off Porsche - Any mechanical repair! 15% off Toyota - Any mechanical repair! 15% off Volkswagen - Any mechanical repair! 15% off MINI - Any mechanical repair! Here at Dibbles, we are a full-service European auto repair shop offering the highest quality service at a reasonable price since 1953. From basic maintenance to complicated driveability or smog test issues. We do it all! If you have had an auto accident and need repairs we can help. Our helpful staff quickly and efficiently deals with your insurance company, can arrange for 24-7 towing service, and will arrange a rental or one of our free late model loaner cars. Dibble’s Auto Center is the premier Santa Rosa auto repair and auto body center, complete with a collision repair, full mechanical auto repair, and full facility under one roof. Our wide range of auto repair capabilities has made Dibble’s Auto Center the top choice for people living and working in the Santa Rosa area. If your vehicle requires regular auto repair and maintenance, collision repair, choose the best auto repair shop with the most reasonable pricing in the entire Santa Rosa region: Dibble’s Auto Center. With over 60 years of professional automotive service to Santa Rosa, Sebastopol, Rohnert Park, Petaluma, and the rest of Sonoma County, Dibble’s Auto Center provides the perfect blend of customer service and expert performance in Northern California’s finest Santa Rosa auto repair and service, body repair, and collision complex. Well-trained, highly schooled and certified craftsmen use modern techniques and state-of-the-art equipment to service or return your damaged vehicle to its original high quality performance and finish.